Craft your LARP sword from scratch like your Viking ancestors did when you utilize the DIY LARP Viking Sword Handle - Unpainted in your Do It Yourself LARP sword project! You can make this hilt blank look however you want! 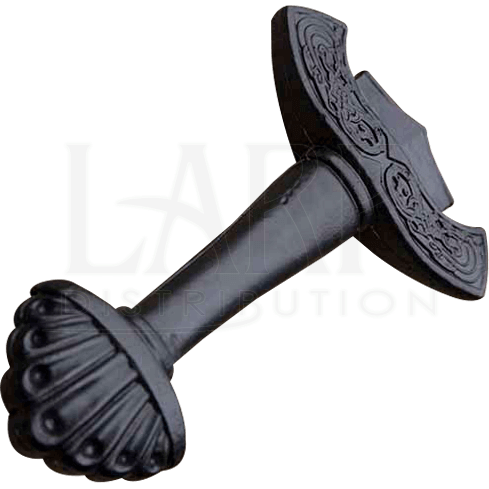 This sword handle blank is made from cast polyurethane foam and has not been painted. The single-handed handle of this hilt has not been wrapped either, allowing you to wrap it in whatever you think looks best! 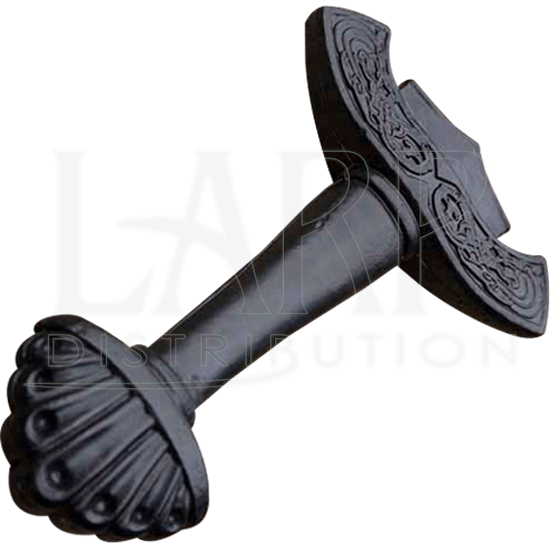 It features a slightly curved crossguard that is carved with Viking knotwork and a lobed pommel. Put your painting skills to the test when you incorporate this DIY handle into your custom LARP sword!